The fifth generation of wireless will make us better, stronger and more connected. It's time to get a plan in place. Perhaps you’ve heard about 5G, the fifth generation of wireless telecommunications standards and technology, and started wondering how it will affect your business. When the technology starts to roll out in real-world scenarios, 5G could revolutionize B2B communication at a fundamental level. But don’t panic: While 5G is being fast-tracked for deployment, you have plenty of time to prepare — and to prepare your clients. Let’s explore how 5G will affect your business in the future. It will rev up IoT. 5G wireless telecommunication technology will move wireless capabilities far beyond what is possible with 4G/LTE technology. It promises vastly greater data transmission rates, massive capacity for simultaneous connections with no sacrifice in speed, simultaneous connections for wireless sensors and a dramatic reduction in latency — all via tiny antennas that can be used everywhere. Soon, 5G technology will be a drop-in replacement to traditional wired networks, wirelessly connecting homes and offices to the internet with unprecedented ease. But that’s only half the story. The amazingly low latency (submillisecond) of 5G will also enable the Internet of Things (IoT) to flourish, paving the way for spectacular advancements in self-driving car communications (truck convoys), medical applications (robotic surgeries, with doctors operating remotely), and infotainment (seamless virtual reality applications, streaming 4K video). IoT holds tremendous promise for partners and business customers, so be ready. It’s time to pay attention. The promise of 5G is appealing, but it’s very much still in development, with various competing technologies and real-world applications still being tested. A 5G standard, which will provide uniform definitions and guidelines for the technology, is not even expected until mid-2018 at the earliest. That doesn’t mean all is stagnant until then. Telecom players such as AT&T, Verizon and Qualcomm are pioneering individual efforts into 5G technology in anticipation of the standard. 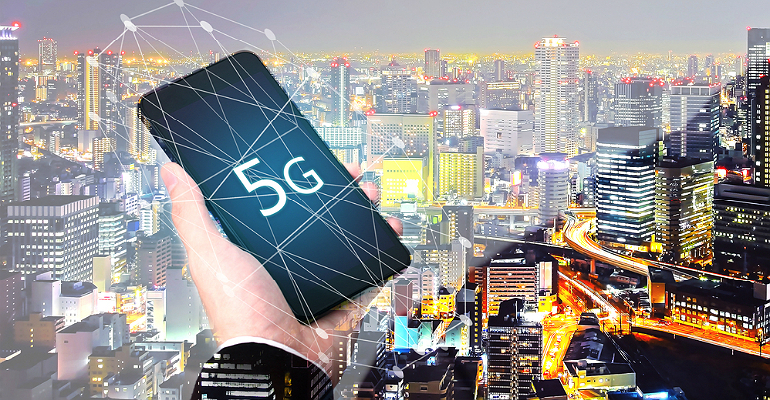 These “pre-5G” projects range from advanced 4G networks to experimental, small-scale technology, incorporating as many elements of the expected standard as possible. Many of these projects use 5G in their names, though, creating confusion as to what’s available, what’s actually 5G and what’s yet to be developed. While experts believe there will be advantages to early adoption and deployment, my feeling is that these pre-5G projects should be avoided by most service providers. The 5G race is about to begin, but a false start can penalize your business just as much as a delay. A measured start gives you and your clients time to plan for the upcoming revolution — but only if you start thinking of the impacts now. It will change your relationships. One of the most promising 5G advancements for dealers and MSPs is the massive improvement in device-to-device communication. The businesses and end users of the 2020s will have devices that are constantly in communication with one another, with myriad sensors broadcasting data at rates never possible before. You will now have a definitive reason to sell new hardware to and upgrade existing hardware for clients, install new apps and connect offices for what the next decade brings. As a result, partners have new horizons. Office equipment dealers can evolve beyond selling imaging and printing devices to become providers of B2B IoT devices for the modern workplace. For MSPs, rapid wireless deployment of IT management software across client sites will become the norm, as everything from patches to updates to full-system images will be available at high speed. Protected machines will be able to have issues prevented more easily and remedied faster than ever expected, enabling service providers to manage more sites and scale their businesses faster. But 5G also presents opportunities for bad actors to cause damage at a greater scale – and greater speed – than ever before. Start installing rock-solid security technology at client sites now, so they will be able to deploy 5G packages as soon as possible. 5G wireless technology is coming and it will change workplace connectivity at a fundamental level. With no standard in place, little can be done in terms of material infrastructure. But knowing a change is coming is half the battle. Given time to plan and strategize, here are a few ways to get started. Do your research: 5G is currently a “Wild West” of ideas, with no clear victor yet emerging. Being at the ground level of implementation will give partners the leverage to apply 5G technology creatively to best fit customer needs while reaping the best margins/ROI. Start client discussions now: SMBs need time to make big changes (read: purchases) and partners have been granted that time to start discussions, build out client road maps for hardware/infrastructure upgrades, and present the opportunities for the real-world application of this new technology. Educate your clients now, and build out an upgrade path as the 5G standard coalesces. You’ll clear the path to new revenue in years to come. Don’t rush in: Wait for the official 5G standard to coalesce before making any technology investments. You have time to plan and see how the technology is going to take shape. Unless you are a CSP, infrastructure costs should not be a major issue as wireless access points and antennas will be small and readily available. 5G is on the way, and the opportunities for capitalizing on it will be plentiful. Beginning the planning process now will keep you ahead of your competition and position you as a thought leader. Ed McLaughlin has more than 40 years of experience in the information and imaging industries. He was president of Sharp Imaging & Information Company of America for more than nine years and executive adviser at Sharp Electronics for nearly two years. Ed was recently appointed vice chairman of Innovolt Inc., a provider of power-protection solutions and analytics. He is currently president and CEO at Valderus and serves on the board of advisers for Continuum Managed Services.